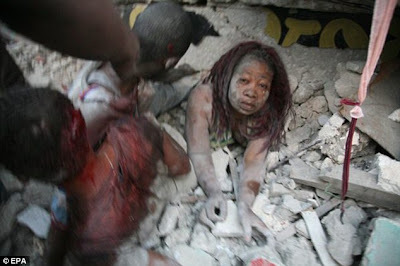 Haiti, the poorest country in the Western hemisphere ,has been hit with one of the most powerful earthquakes. 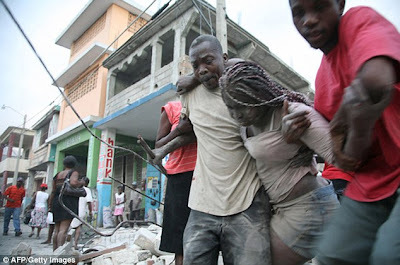 Port-au-Prince, capital of Haiti, has been badly hit by the earthquake 7.0-magnitude on the rictar scale. Slums, homes, schools and hospitals have all been affected and UN's headquarters collapsed with up to 200 staff missing. 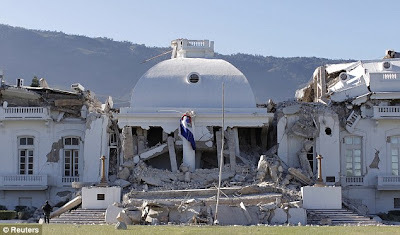 The Red Cross charity says up to three million people are affected and Haiti's Prime Minister, Jean-Max Bellerive told CNN he believed more than 100,000 people had died, and Guido Cornale a rep from Unicef, said it was estimated more than one-in-five buildings had been destroyed. 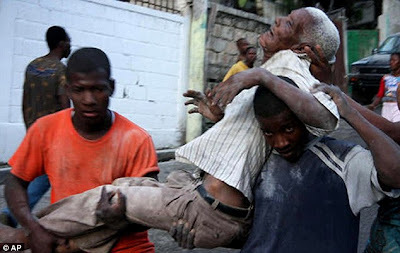 Thankfully a number of nations, such as US, UK and Venezuela are all sending aid and President Obama vowed to provide "unwavering support" for Haiti for what he called, "cruel and incomprehensible" disaster. 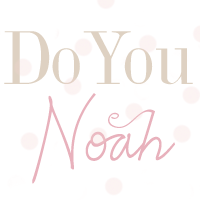 Many celebrities are voicing their concerns on Twitter, particularly Haitian Wyclef Jean from the Fugees. His tweets read, "Haiti needs your help..if your in the US donate 5 dollars will go toward earthquake relief in Haiti" and "Please urge your council men goveners etc..we need a state of emergency for Haiti." The Red Cross is despatching a relief team, UN's World Food Programme is flying two planes with emergency food aid,the Inter-American Development Bank said it was donating $200,000 grant for emergency aid and the head of Internationalo Monetary Fund (IMF) said it would co-ordinate with other international agencies to offer help, support and donations as quickly as possible. Yet will this be enough? 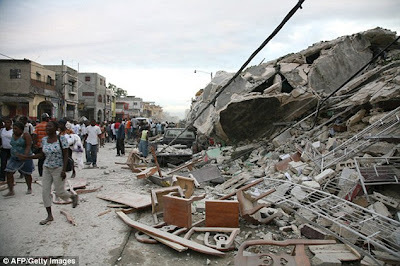 Haiti is one of the poorest countries in the western hempishere and has suffered poverty, political chaos and recently several natural disasters including four hurricanes and storms in 2008 that killed hundreds of people. I'm praying that Haiti can survive this devastation..if you would like to offer your support to Haiti see below!